More like an intro to the next story arc and a flashback on how Duke met that one girl. Just read it and I have to admit I am a little disappointed. That is probably the most misleading cover to a G.I. Joe comic ever! Now it's frigging amazing and I would like it on my wall, but it sets us up for an epic battle which doesn't happen at all. That is not how they met, that happened after they were married and she was captured. They met at a protest in DC where Duke happened to be nearby as someone roughed her up for protesting and he stopped the conflict. This was one of several rescue attempts after Claire was captured by the raiders of the "Red Cross" mission she was providing inoculations for. We know who had the samurai sword (Snake Eyes) but who was the guy manning the .50 in the truck? Storm Shadow? Can't be. 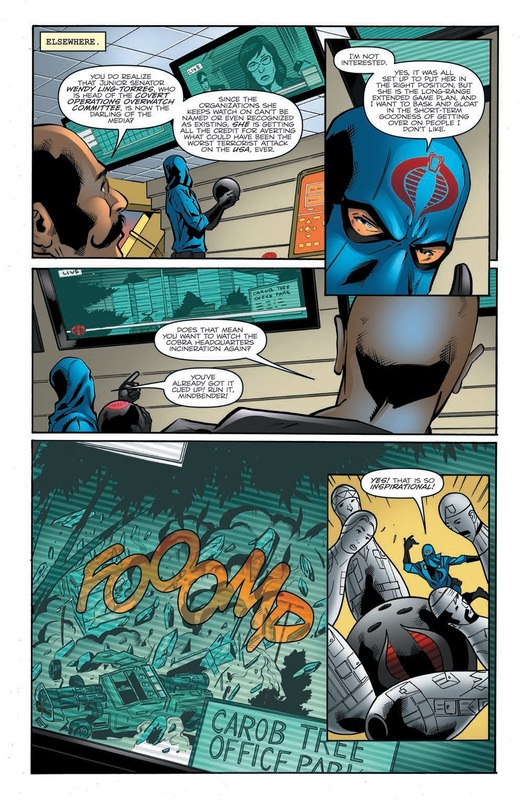 Storm Shadow joined Cobra shortly after the death of the Hard Master to seek out the assassin. It had to be one of the earlier Joes before 1984 when Duke and Roadblock joined the team. Color me curious. Expected more. Wasn't this supposed to be a double-sized issue? I need to go back and count the pages. I thought Beachhead, but Claire seemed to think that this person was trained by the same group as the guy with the sword (SE). Well there are two factors at play. One, Hama does not care too much for continuity. 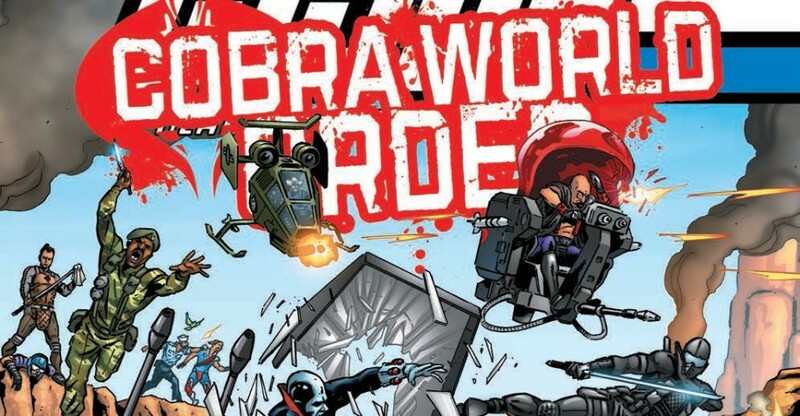 Two, this particular iteration, is not exactly the same as the Marvel GIJOE universe. Larry said that somewhere in an interview. So it is possible that in this version Stormy was on the Joes side for a bit before heading off to join Cobra. I think all continuity as we know it is malleable or didn't even happen. Given the look of that mission it fits into the 2000's more than the eighties or even late nineties. Private contractors, the gear, the choppers, all of it. Yes I also recall reading somewhere this was supposed to be a double sized issue. 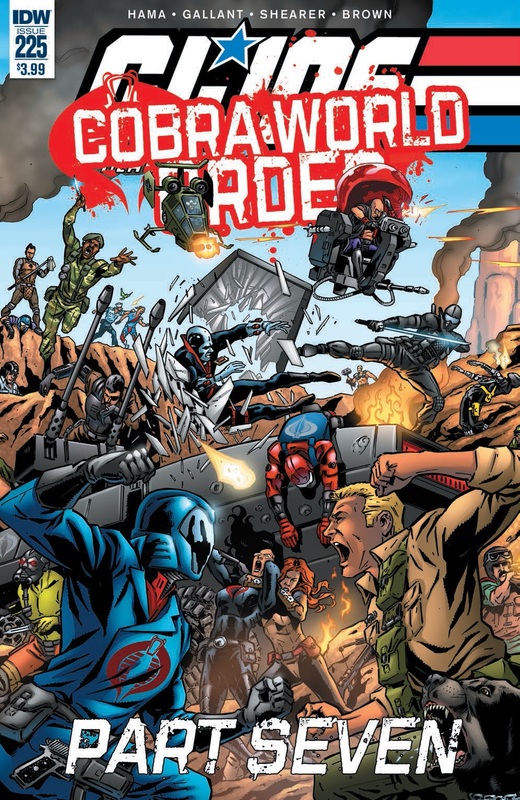 Cobra World Order: Starting with a special prelude issue (was that not the point of Cobra Rising?) 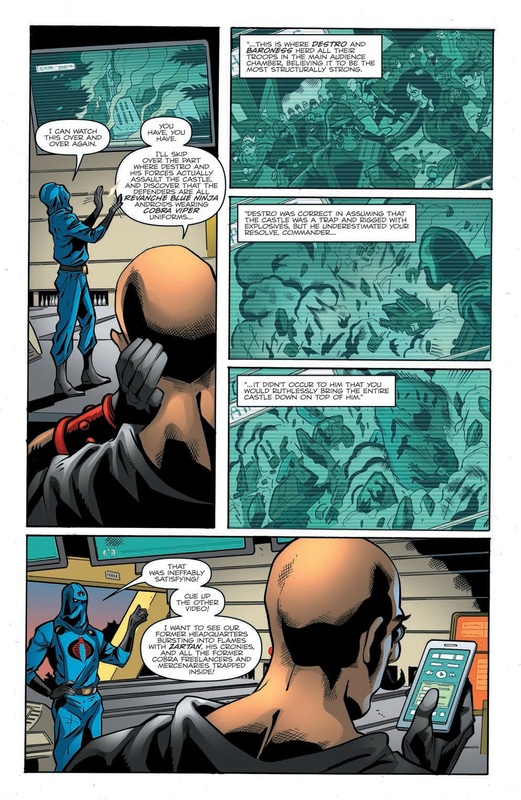 in October that reveals Cobra’s master plan. The series will be a three-month bi-weekly with an 8-part story line that will conclude on February 2016 with a double sized issue #225.
i think i'm officially giving up after 34 years. i can't continue a book whose writer is less passionate about his creation than i am. i'm done making excuses. 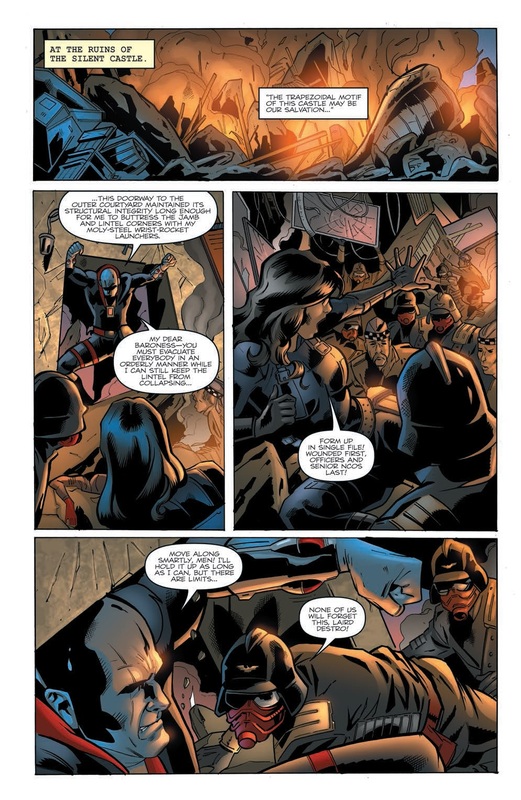 I should clarify how Hama feels about continuity is not just for GIJOE it is for everything, including Wolverine, Batman and anything else he is tasked with. He is a character writer and does not believe in plot. He continually cites Harry Potter as an example of character writing where the plot is inconsequential. It is just the way he thinks, at least that is how I interpret it. 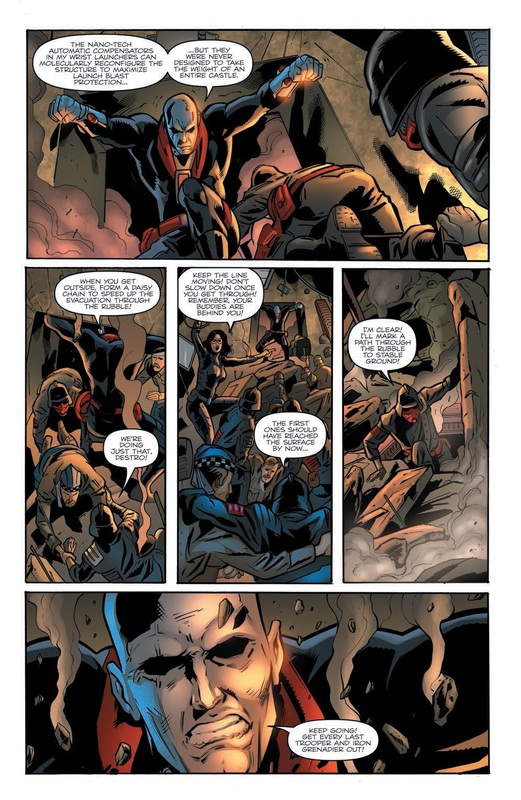 This last issue was actually pretty good. It made me want to read more. So for me it worked. His tease about a new way of telling a story by using Claire and Duke's experiences is something fresh and new and I for one like it. And if you noticed Bazooka looked like he was dead,alas still no love for old Zook.